se this stress ball to promote clean air. 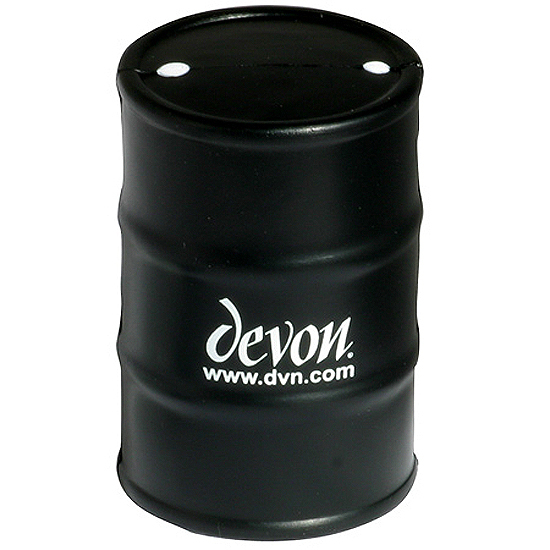 Oil Drum Stress Ball Measuring 3 1/2" x 2 1/4" in size, this oil drum shaped stress reliever looks just like the real thing!Help your customers relieve their stress and drum up a buzz about your business. Safety tested, this item is intended for adults or for general use by consumers of all ages. Our products are not intended for children under three years old or for pets. Add your custom imprint and promote transportation related services or oil conservation! Bulk / 30 lbs / 225 pcs. / 24" x 14" x 15"box. Imprint Area: 1" x 1-1/4"